Turkey has retrofitted TCG Göksu, F-497 (formerly USS Estocin (FFG-15)) with the ASELSAN CAFRAD Multifunction, Active Phased Array Radar System. TCG Göksu will be used as a test bed for Turkey's indigenous (AEGIS equivalent) Area Air Defence Destroyer program- TF-2000. The ÇAFRAD system houses tens of thousands microwave GaN based Transmit/Receive modules. ASELSAN established a high capacity serial production line dedicated to this program in their new Gölbasi, Ankara facility. Fire control quality target tracking. Air and surface targets detection and tracking. The system is intended to be used in conjunction with Roketsan's HISAR Low, Medium and High Altitude Layered Air Defence System. Last edited by Bayar; 25th November 2018, 01:20. This is the radar. OK. But what are the missiles? Out of curiosity, what the heck is "AEGIS equivalent" (besides pick a Turkish system and claim it is comparable to best in class systems)? Current AEGIS baseline in development comes with a 14 foot diameter GaN AESA and interceptors that can conduct mid course defense against IRBM class ballistic missiles possibly extending that to ICBM class by the end of the decade. On the AAW side, BL9/10 comes with one of the the longest ranged SAM in the world with the ability to perform OTH intercepts using NIFC-CA and perform Terminal Ballistic Missile Defense against MRBM class targets. AEGIS is a defensive capability extending well into space and soon into Directed Energy as well. Last edited by bring_it_on; 25th November 2018, 18:57. The TF-2000 class Destroyer program is a culmination of several major sub-systems development programs that Turkey has had in the pipeline during the past 10 years. The Radars systems and Command and Control Systems form the backbone of this program. Turkey has succesfully tests the HISAR-A- and HISAR-O (Low and Medium Altitude Air Defence Systems). It is now developing a High Altitude Air Defence System that will draw on from joint programs with EUROSAM (Aster 30) and Russia (S-400). France, Italy and Turkey are also working on a 3 country joint next generation Long Range Air and Missile Defence System based on the Aster-30 for ballistic missile threats. Last edited by Bayar; 26th November 2018, 00:02. Ambitions of High Energy Lasers, Railguns and "AEGIS" like capability on a sub 8000 ton ship. Quite a dream list there. These are capabilities that not even the 10,000+ Flight III DDG-51 can accommodate with easy forcing the US Navy towards a larger surface combatant for the post 2030 time-frame. Good that they have a name and some pictures. Now to the specifics - How many MJ and with what rate of fire? and reliability? What type of HEL, how much power has been demonstrated and with what efficiency and what type of targets destroyed? Given that the TF-2000 is part of a decade long and is a culmination of all these things we should have answer to these questions. No? Last edited by bring_it_on; 25th November 2018, 23:50. Thanks Tomcat..Had missed that. So the former is basically good for nothing besides some DJI phantom right above the target and the latter will offer marginal capability against small class UASs at very short ranges with perhaps some significant dwell time. You need to be in the 150-300kW class HEL space in order to be effective against a wider range of targets or a decent distance from ship. As I had mentioned earlier, with current efficiency levels the USN thinks it can only achieve around 150kW on a 10+K Ton DDG-51 Flight III and that is what Lockheed and Northrop Grumman are currently building as an upper range with HELIOS and SSL-TM. And on top of this, he claims the TF-2000 will also feature an EMRG because its designers can willingly ignore basic SwAP design constraints and technology limitations. bring_it_on They are not my claims but the official statements of the Turkish Naval Command. 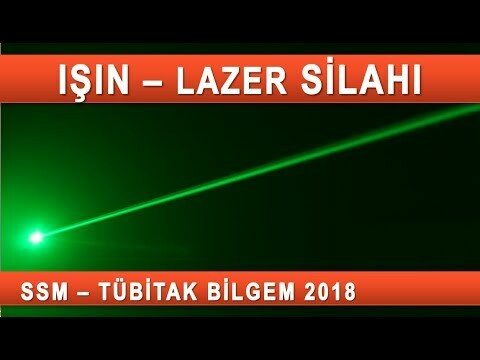 Turkey has developed 12 Railgun prototypes thus far. The most promising is prototype 12 which has a 16000 kilo joule (16 mJ) muzzle exit velocity. It can propel 2.5kg- 76mm rounds to ranges of 200km at speeds greater than Mach 8. The current fire rate is 6 rounds per minute. Turkey originally designed the program in the late 1990s, but the 2001 financial crisis then prompted Ankara to shelve it indefinitely. In 2006, Turkey's top procurement body, the Defense Industry Executive Committee, decided to revive the project and called for the manufacture of six TF-2000 frigates, instead of an earlier-planned eight. The objective is the acquisition of anti-air warfare frigates that will provide survivability in the presence of aerial threat and also support mission functions such as command control and communication, reconnaissance, early warning, surface warfare, anti-submarine warfare and electronic warfare. The TF-2000 frigate is expected to have a displacement of over 6,000 tons. Naval warfare helicopters and pilot-less aircraft also are planned to take off from the TF-2000s. The timetable called for completing the design by 2011, with a Batch I contract signed for two vessels in 2014, and commissioning in 2021 and 2022 by one account. The first ship was planned to enter service in 2018, according to another source. Batch II, with three vessels, will proceed from 2023-28. Few details are known about weapons and sensors, but each ship will have 32 VLS cells, a Mk 41 launcher that fires Standard SM-2 and ESSM antiair missiles, two helicopters, a 127-mm. gun, antiship missiles and antisubmarine-warfare torpedoes. The Undersecretariat for Defence Industries (SSM) initiated the TF-2000 Program to meet the Anti-Air Warfare Frigate requirement of Turkish Naval Forces Command. In this regard, Request for Information (RFI) was issued 15 January 2010 by SSM to gather administrative, financial and technical information for the systems from relevant companies/organizations for planning purposes of the Program. By June 2012 Lockheed Martin was left as the only bidder in the $3 billion project for the joint manufacture of six frigates for the Turkish navy after Ankara rejected the remaining contender BAE Systems’ proposal. BAE had offered the new Type 26 frigate, internationally known as the Global Combat Ship (GCS). But Turkey wants the Turkish company Aselsan's Multifunctional Phased Array Radar project (ÇAFRAD) to be inserted into the AN/SPY1, Turkish Havelsan's Genesis to replace Aegis, and this combination to be integrated with the SM3 system. The project may still not be awarded to Lockheed Martin if an agreement cannot be reached on the technical aspects of missile integration. Such an eventuality would cause the project to be shelved and then reshaped. Milgem could be re-designed to manufacture a light frigate for air defense warfare, named TF100. By the end of 2016 Turkish defense industry was moving towards the future with sure steps. The TF-2000 air defense frigate is the latest addition to these projects. The TF-2000 is a defense against ballistic defects in the air defense giants of the world, with very little in the hands of the world's superpowers England and France. The TF-2000 is supposed to produce four of the warships. Unit cost is estimated to be 1 billion dollars according to experts' estimates. The TF-2000 project will house many innovations in the world and give power to the Turkish navy. TF-2000 project Information Request File was published in May 1996 and Ihaleye Call Dokumani was published in 1998. Target; 6 frigates, a budget of $ 5 billion, and service dates starting in 2004. However, the project was delayed due to the 1999 Golcuk earthquake and the economic crisis afterwards. The number was reduced to 4 by the Defense Industry Executive Committee. Designed by DZKK.LIGI ARMERKOM Design Office. It was anticipated that design works will end in 2016. The vessels will have a length of 147 meters [480 feet], width: 18 meters, full displacement of 7,000 tons, and a crew of 220. At a price of 1 Billion USD / Number (Estimated), the first TF-2000 will be produced in the shipyard of Istanbul. The next three ships will be produced by private company shipyards. It is anticipated that the TF-2000 frigates will be in Turkish seas in 2020's years. So 16MJ claims with a rate of fire of 6 per minute. Is there a video of it (not of a scaled prototype) demonstrating a 16 MJ shot with high rate of fire? And what is the power source and how will it get into such a small vessel when others who are more advanced are struggling to fit an EMRG on vessels much much larger? For comparison, the Hypervelocity Projectile from BAE weighs something like 28 pounds (13 kg) with a 6.8 kg (15 lb) payload. To my first post, how does this make it "AEGIS equivalent"? Last time I checked AEGIS had a currently operational kinetic loadout extending well into space, is capable of mid-course defense including ASAT, has one of the longest ranged SAM systems in the world with the SM6 which also incidentally has the ability to intercept targets Over The Horizon utilizing NIFC-CA. Current AEGIS capability ranges from sea skimming cruise missiles out to IRBM class Ballistic Missiles while SBT covers MRBM targets. As I had said earlier, they may even demonstrate an SM3 ICBM shot by the end of the decade which would be quite a significant increase in capability. On the AAW side, the SM2 is getting the SM6's seeker and there are plans to develop the SM6 Block 1B which should increase range significantly for the best in class SAM system while likely also extending SBT to IRBM class targets. Enabling all of this is one of the largest diameter AESA radars in the 37 RMA AMDR and an even larger diameter radar planned in the 69 RMA AMDR once a ship large enough to house it is approved. EMRG and HEL are on the horizon with the latter being put out to see over the next 2-3 years with a 80-150kW system integrated with AEGIS (the 30 kW system on the Ponce was not integrated with it). All this has literally pushed the SwAP limits on the DDG-51 Flight III and this before other SwAP sensitive technologies like High Power Microwaves or the Railgun are factored in. I don't think that you can even successfully integrated all of these things into the Flight III DDG-51Any reasonable person who reads your brochures will be left scratching their heads on how the Turkish Navy will stuff all this capability on a smaller vessel given both SwAP considerations and its technology limitations. As I said, it is not reasonable, and TF-2000 is FAR FAR from being an AEGIS equivalent capability even if we compare to the current AEGIS baseline, leave aside the baseline of the system around the time the first TF-2000 vessel with all the goodies you claim will go into it will be operational. Last edited by bring_it_on; 26th November 2018, 11:54.
bring_it_on When I said Aegis equivalent I meant the Radar and Combat Management Systems. I do not dispute that in terms of missiles capability the Aegis has much more advanced air defence misiles systems. In fact, prior to the EUROSAM solution Turkey was after the SM-3 for the TF-2000. The EUROSAM Consortium is seeking to advance its Aster-30 to cover ballistic missiles. It remains to be seen whether they will be successful. In terms of Radar systems however Turkey was successful in developing a GaN based Active Phased Array Radar system. AEGIS capability is not a radar, it is a complete defensive solution comprising of combat management system, sensors, shooters and networks the latter putting it in a unique place of performing OTH intercepts allowing broader fleet defense missions using Navy Integrated Fire Control-Counter Air capability already fielded with the currently operational AEGIS baseline. Coming to your claims on the sensors, AEGIS currently performs IAMD and with the current baseline is able to do both space based Mid Course defense and AAW concurrently. Again, if you look at the AEGIS Baseline 10 phased array radar in the SPY-6 you will find that it is going to be significantly more capable then what you have posted above - the 14 foot diameter on the 37 RMA version for Flight-III DDG-51 is limited by the ship capability. Even so, this still provides the requirement of " 2x the range for 1/2 the RCS" compared to the SPY-1. You need this performance against future threats if you want to execute the full AEGIS mission and some would argue that the 37 RMA AMDR is still too small a sensor for this mission and that a vessel large and powerful enough to handle the 69 RMA variant needs to be developed. Again, nothing I see in your description would lend credibility to the claim that th TF-2000 is going to be AEGIS equivalent..not in sensors, and not in shooters, networking or capability. It is one thing to parrot around brochures and screenshots but if you are going to manufacture comparisons and try to benchmark against other known systems expect to be called out. Aster-30 is already capable of TBM defense. However its capability in that department is more akin to the PAC-3. Future variants will likely be similar in capability to PAC-3 MSE and may extend further beyond into the MRBM realm then it (MSE covers threat targets up to 1500 km range). On US AEGIS vessels there is both the SBT (Sea Based Terminal) and Sea Based Mid Course Defense capability currently provided by the SM3 and SM6 both of which are operational. SM3's current envelope extends to IRBM class targets and they are discussing the potential of demonstrating a simple ICBM intercept by 2020 (it is a congressionally mandated requirement). SM6 has demonstrated TBM defense capability against MRBM targets and the USN is interested in an SM6 Block 1 B which should improve performance by switching to the 21 inch motor of the new SM3 and possibly allowing for full SBT capability against IRBM class targets while also improving all out range in other missions significantly. Of course you have ESSM and SeaRAM for close in as well. These are short and short-medium term capabilities. Who knows what will be in the works by the time all these things you claim will end on TF-2000 will be ready. Again, all this is enabled by the very large sensor requirements and the ability to link up sea based, terrestrial sensors and space assets to execute Launch on Remote and Forward Pass. The vessel is too small to house an AEGIS destroyer sized sensor or shooter load, let alone the other EMRG and HEL goodies that you claim will be on it. There are SwAP and Technology limitations that all have to deal with. Pretending that they do not exist will not make them go away. Last edited by bring_it_on; 26th November 2018, 14:01. 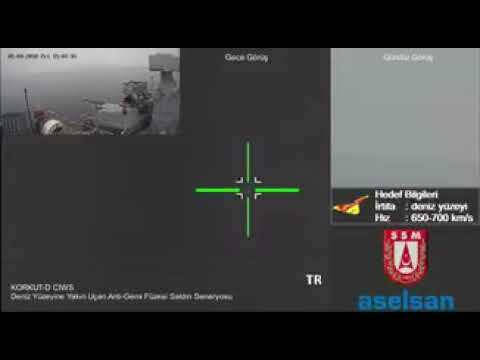 The Turkish Navy commences sea tests with the CAFRAD Radar System. It has been tested using the HAVELSAN Combat Management System and SM-1ER Missiles. Reports suggest that the system was able to lock onto a Greek F16 600km away. The TF-2000 will most likely either field the SM-3 or an indigenous Aster 30 derivatives. Aster 30 Block 2 BMD for anti-ballistic defense against 3.000 km-range maneuvering missiles. Last edited by Bayar; 28th November 2018, 07:01. There is a thing called the Radar Horizon. In order for a ship to detect an object 600 km away from the radar, the object needs to be at an altitude of > 65,000 feet. Have you heard of F-16's cruising at 20+ km altitude? When aircraft fly out on an anti-ship role they usually don't cruise at anywhere near their maximum altitude and project themselves as nice and juicy targets to air defenders unless they are accompanied by jamming or are LO. Against an aircraft cruising at 20,000 ft. the radar horizon falls to around 320 km. At 10,000 ft it drops to around 200 km. Those are totally different weapons with totally different roles and the choice is unlikely to be between the two unless it is being made by someone highly incompetent in the field of missile defense. Last edited by bring_it_on; 28th November 2018, 12:58.
there is no need to build larger radar and missile ships if it is constraint by Radar Horizon. The stealthness / speed of cruise and BMs are increasing. so at most few kms they can be intercepted. While Radar Horizon highly applies to Air Breathing threats, it is less of a consideration for both the point and area ballistic Missile defense mission where the target warhead is potentially approaching from hundreds of km altitudes with intercepts happening both outside and inside the atmosphere. Higher capability of the sensor to both detect and discriminate is going to help in this case, as is the networking capability allowing to launch on remote before the target comes into the field of view of the ship sensor. hundreds of kms of altitudes mostly applies to ICBM. why will ICBMs fly near equator where most of the time ships are parked. 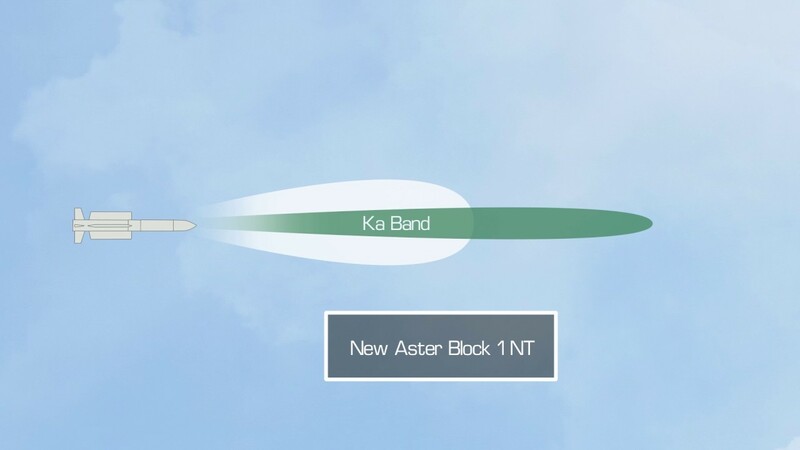 new generation of smaller air launched BMs, ASM, ARMs are as fast as hypersonic projectiles that can fly high and fly low at sea surface in same flight and far manevorable for over size heavy SAMs. The problem for ship based air defence system is that Radar and TEL are combined into one big structure. you make one component bigger several other components are also need to be enlarged all the way to resupply ships and manpower. now this manpower constraint may not apply to China.